Peter primarily represents plaintiffs in securities, antitrust, commodities and consumer class actions and also represents whistleblowers before the SEC. 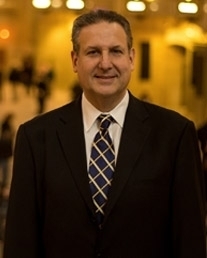 Prior to entering private practice, Peter served in the Enforcement Division of the Securities Exchange Commission and in the United States Attorneys’ Offices for the Southern District of New York and the Southern District of Florida where he concentrated on prosecuting white collar crime. ​Peter has played a prominent role in important class actions including the mammoth IPO Securities litigation that settled for more than $500 million. In addition, Peter’s practice includes Human Rights Litigation including successfully representing Nigerian children allegedly victimized by Pfizer’s improper medical experiments involving the drug Trovan. Peter was also part of the team that represented consumers in an antitrust case against Sirius XM Radio which was resolved for $180 million. ​Elizabeth focuses her practice on class action securities litigation, shareholder derivative litigation, consumer fraud, and antitrust actions. She has litigated on behalf of investors and consumers including investors ​in the shareholder derivative suit In re Massey Energy Co. Derivative & Class Action Litigation, No. 5430-VCS (Del. Ch.) which followed the 2010 mining disaster; and consumers who were damaged by the Suave® Professionals Keratin Infusion 30 Day Smoothing Kit (Reid et. al. v. Unilever United States, Inc., No. 12-cv-6058, NDIL). Elizabeth currently represents individuals challenging price fixing in a drywall antitrust matter, shareholders concerned with Federal Acquisition Regulation compliance in a derivative matter, and shareholders challenging the merger prices in several acquisition matters. ​Sheila has extensive securities litigation experience. 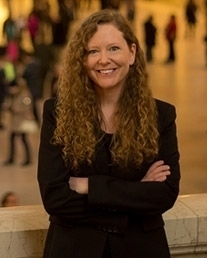 She performs complex investigative financial analysis for potential class action lawsuits, helps identify and analyze cases for securities class action litigation by applying the federal securities law principles such as, loss causation, materiality, and reliance to help evaluate whether a prospective case is meritorious. In addition, Sheila is responsible for communicating with individual and institutional investors about securities class actions and analyzes and prepares client data calculations for class action filings. 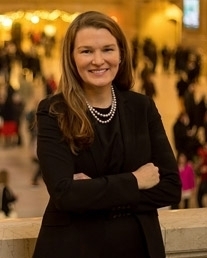 Prior to Safirstein Metcalf LLP, she managed the Shareholder Services Department at a New York-based securities litigation firm.Sheila earned a BA in English from Villanova University and a MBA in Finance from Stern School of Business at NYU.